[O]ne day next spring, the Israeli national-security adviser, Uzi Arad, and the Israeli defense minister, Ehud Barak, will simultaneously telephone their counterparts at the White House and the Pentagon, to inform them that their prime minister, Benjamin Netanyahu, has just ordered roughly one hundred F-15Es, F-16Is, F-16Cs, and other aircraft of the Israeli air force to fly east toward Iran — possibly by crossing Saudi Arabia, possibly by threading the border between Syria and Turkey, and possibly by traveling directly through Iraq’s airspace, though it is crowded with American aircraft. Worried about an Israeli attack on Iran? That’s the idea. You must do what we can’t, because if you don’t, we will. This is how some Israelis are trying to twist Washington’s arm to get the US to attack Iran. A more honest way of making the argument would be to say this: If the US won’t attack Iran, then Israel will — even though it won’t accomplish its military objectives and it will open Pandora’s box. Desperate nations sometimes do desperate things. You have been warned. Another name for this: blackmail. It’s hard to counter an irrational argument when the irrationality is intentional. Such are the means by which someone like erstwhile Israeli army corporal and current Atlantic commentator, Jeffrey Goldberg, attempts to persuade his readers — not through cogent reasoning based on clear evidence, but by an insidious form of argument that has the clarity of slime. Consider the way he tries to close his case for an attack on Iran — even while avoiding saying straight out that he supports such a course of action. The United States must not take the risk of letting Israel attack Iran because if President Obama orders US forces to attack instead, this would be the most patriotic thing to do. Obama would not be serving Israel’s interests; he would be defending Western civilization. When I asked Peres what he thought of Netanyahu’s effort to make Israel’s case to the Obama administration, he responded, characteristically, with a parable, one that suggested his country should know its place, and that it was up to the American president, and only the American president, to decide in the end how best to safeguard the future of the West. The story was about his mentor, David Ben-Gurion. Israel only wants what’s good for America — and we’re supposed to believe that, even while few if any Israelis could be persuaded that America only wants what’s good for Israel. The truth is that everyone gets to define their own interests so let’s ignore the obsequious crap from Peres and consider Goldberg’s core claim: that Israel is gearing up to strike Iran. Even if Goldberg is participating in a neocon game of bluff, the only kind of bluff worth engaging in is one that has credibility. 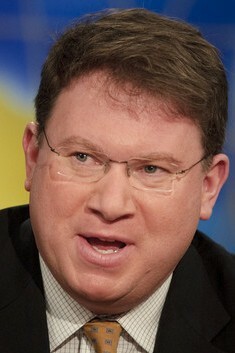 To make a credible argument that Israel has the intention of going it alone, Goldberg would have to present the outline of a credible plan of attack. He doesn’t even try. Israeli planes would fly low over Saudi Arabia, bomb their targets in Iran, and return to Israel by flying again over Saudi territory, possibly even landing in the Saudi desert for refueling—perhaps, if speculation rife in intelligence circles is to be believed, with secret Saudi cooperation. And he prefaces this “plan” by saying Israel only gets one try. That’s not even a back-of-an-envelope war plan. It’s more like a Twitter war plan. The message Netanyahu, Goldberg and other panic-stricken Zionists are unintentionally sending out is that come the day Iran acquires a nuclear weapon, Israelis may as well back their bags and abandon the Jewish state. That probably won’t happen because in such an event Israel will “discover” what many Israelis no doubt already think: that retired General John Abizaid was right when he said that the United States and its allies can “live with” a nuclear-armed Iran. “Let’s face it — we lived with a nuclear Soviet Union, we’ve lived with a nuclear China, and we’re living with nuclear powers as well,” Abizaid told an audience at the Center for Strategic and International Studies. That was true in 2007 and it’s true now. It’s also true that spineless politicians remain the playthings of fear-mongers who are addicted to war. Israel just wants to be the only nuclear power in the ME, and is so dangerous and belligerent it is already a menace to all its neighbours and native people. Now it wants the US, its client state, to attack Iran with absolutely no justification, probably leading to the third world war, just for the Zionist entity, which would not even survive. Iran will not attack, unless attacked, then it will. Check latest article in Juan Cole’s Informed Consent. Goldberg is a bloodthirsty idiot who learned nothing from his warmongering over Iraq. In banging the drum for war (again) he’s more of a danger to America than Ahmadenijad at this point. Seems as though my past posts may become reality in so far as the Israeli Government getting desperate. What a waste they are becoming. I wonder what our P.O.T.U.S. will do if & when Israel launch’s such an attack? Perhaps it is a foregone collaboration? Pretty sick to start W.W.III over a bunch of Mad Men. The World will end up looking like some Science Fiction Movie Scene. Obama needs to tell the Israelis, if you attack Iran, we will bomb your runways. Your pilots will be on suicide missions. The US empire cannot handle an attack on Iran. This makes me ambivalent about the US attacking Iran. Empire is antithetical to the principles that this country was founded on. Exactly. You nailed it Woodward. We know beyond the shadow of a doubt that congress will support an Israeli attack on Iran. Because…pardon my langauge…they are scum sucking traitors to this country and their oath of office. It has imo not ever been Obama’s intention to bomb Iran. But with congress firmly in the pocket of AIPAC and jewish campaign donors we have to ask what Obama the politican will do. This is one of the best arguments I’ve read so far about the situation in general and on Goldberg’s piece specifically. The Leverett’s had a good article in Foreign Policy on the Goldberg story “The Weak Case for War with Iran”. Stephen Walt (Professor of International Relations at Harvard) also has a pretty good take on it. And Finally Steve Clemons at the Washington Note gives another summing up of it. But out of them all I think this above post sums up the situation best and with the most clarity. Why Goldberg has any credibility is beyond me. This is the same man who peddled WMD in Iraq 2002 while working for The New Yorker. That he is still published shows what we all know: the MSM has no decency and is unwilling to censor one of its own who got it so wrong. I cancelled my Atlantic subscription several years ago whne Goldberg was hired. I personally heard Michael Oren, around Feb. 27, 2009, say at a Case Western Reserve University informal meeting in Cleveland that an Israeli attack would render Iranian nuclear sites “uninhabitable” (his word). (Another Case Western Professor heard the same thing). When asked what that meant, he would not elaborate further. That was before he was made Ambassador to the US but he had been an IDF insider for years, for instance acting as their public relations officer during the Gaza campaign. If Israel believes it will have only one chance to attack Iran’s major nuclear sites, then rendering them “uninhabitable” makes “sense”. To me, this implies use of nuclear weapons first and foremost (rather than chemical or biological WMD) , because nukes would also have the power to penetrate deeply buried areas. If, as Goldberg describes, Netanyahu and many Israeli officials believe (wrongly) that this is the only way to preserve Israel from another holocaust, then they would be willing to endure international opprobrium. Of course, it makes no sense both from a non-proliferation and humanistic point of view, and also if as a result of the attack, Iran withdraws from the NPT and sets about building nuclear weapons. Goldberg is blustering and bluffing. Israel is blustering and bluffing. The US is blustering and bluffing. Iran is blustering and bluffing. As long as everyone thinks rationally, there will be no war. Re: Werner Simons- Re: Renfro, Perhaps not, at least all of it. It’s true as to the Congress and their support of Israel. Unless you live in the U.S. then you are not subjected to what the news Media puts out on a daily basis. If you do, then you may be one of the Israeli’s here to monitor what the public discourse on the subject is. Either way, when the Neocons preach that Iran should be bombed by the U.S. with or without Israeli participation, then you have to except that these same people who put the security of Israel, a foreign country, above the U.S. , declaring that we will back your play, even if it means W.W.III, then indeed, they are traitors, who I might add, should also be registered as “Agents for a Foreign Country, that goes for the Congress of the U.S. too. Of course, if the Congress did so, then I believe they no longer qualify for office. Perhaps some bright individual or group will bring that up to the courts, considering that these same Congresspeople take Pac money, as well as gifts & trips, perhaps more under the table. If it’s clear that Israel can’t actually attack Iran’s nuclear facilities in any way that makes it worthwhile, then everyone who counts knows it. The Israelis know it, the US knows it, the Europeans know it, and the Iranians know it. What’s the point of all the threats, then? Why are the Israelis talking about this incessantly? Just to give the US an excuse to do the bombing? (“The Israelis were going to, so we had to do it ourselves so things didn’t get out of hand.”) Who would actually believe this? Of course for the delusional mind of one of Israel’s most respected pundits here in the US it makes sense that the United States must not take the risk of letting Israel attack Iran but to attack them instead, as this would be defending Western civilization and also be a most patriotic thing to do. Naturally such thinking from him or any other his clique of war mongers and Israel apologists, never take into consideration that by espousing and acting on such fantasy as “defending Western civilization” that it is both blind and remiss to the evidence of the destructive behavior such an action would inflict upon another nation and its people. Portraying war as essentially heroic theater (as Louis Menand reminds us) by the “ shining city on the hill”, only gives cause excuse it. How or why this person has any credence or intellectual respect from other than his own magazine and political thought circle of is beyond me. At least Glenn Beck and Sarah Palin have some entertainment value. I haven’t read any of the comments and I stopped reading when I got to Kennedy’s quote: “Your people got me elected” to Ben-Gurion of all people. Someone of Kennedy`s knowledge and being a Catholic couldn’t have conflated religion and peoples. People of jewish faith are stem many peoples and are not a people in it and of itself. They have varied origins: Russia, Magreb, Iran, etc. The quote is not believable and as such is a lie. Just ascribe it to another attempt of propaganda which Goldberg’s article and the whole Iran’s war cabal is all about. Make war by use of deceit is Israel’s moto – or Mossad which is the same.